I’ve always considered myself a “healthy” eater. But over the last year and a half, I’ve been questioning the foods that I actually eat. Like, “what the hell am I really putting in my mouth?” “Is what I’m eating is as healthy as I think it is?” “Are the foods I eat as nutritionally-dense as they need to be?” Realizing the weight gain after taking my head out of the sand, I came to the stark conclusion that I needed to clean up my diet. Never a dieter or a big meat eater, I knew deep down that I couldn’t stay on the same path. Eating vegetables? Check. Cutting out sodas? Done! What I needed to clean up was mindless indulgence. A bag of potato chips to get me through the day? Yup! Something sweet after a meal? Hell yeah! I deserve it! After reading loads of health and wellness articles, I decided that a plant-based diet would work for me. Having cut back on sugar and being more thoughtful of what I actually consume, I cook and eat at home more often. And I’m having fun doing it! Which brings me to this recipe that I’d like to share with you. 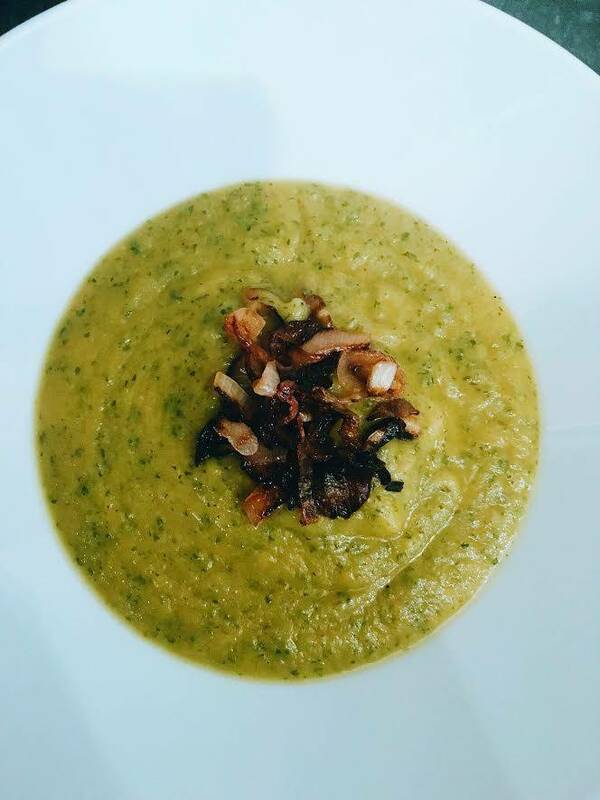 It’s a Healthy Vegan Cream of Celery Soup with Crispy Shallots. And yes, it’s vegan. I found this recipe courtesy of The Veg Life. I have always loved the taste of celery and I wanted to find a recipe where celery would play the starring role. So surfing many vegan food blogs, I came across this recipe that I made this during the snow blizzard of 2016 and boy was it delish and incredibly easy to make! Why celery, you ask? Celery doesn’t have the fancy schmancy boutique PR firm behind it like Kale or Cauliflower, but the healthy benefits of celery is immensely rich! In addition to vitamin K and folate, this water rich veggie is loaded with vitamin A, potassium, and vitamin C along with a decent amount of fiber. All of that goodness in one green stalk! Cool!! So without further adieu, here’s the recipe!